Thundershirt is a product that offers help and hope. A pet's anxiety can put a lot of strain on a household. From excessive barking and jumping for dogs to hissing and running away for cats, stress can lead to some very unpleasant behaviors. 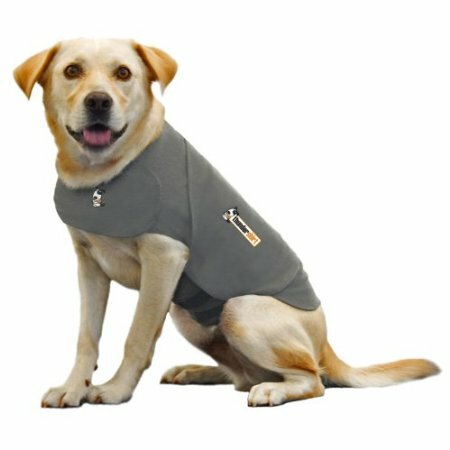 The Thundershirt, available for dogs and for cats through Amazon for around $40, offers a partial solution. It works by fitting snugly and applying constant gentle pressure to your pet's body. This pressure produces a calming effect. The Thundershirt is not a miracle cure; pets with extreme anxiety will still likely need medication or behavioral training in addition to the shirt. Still, the great majority of customer reviews on Amazon are positive, and for mild cases of pet anxiety, this shirt may be just what the vet ordered.